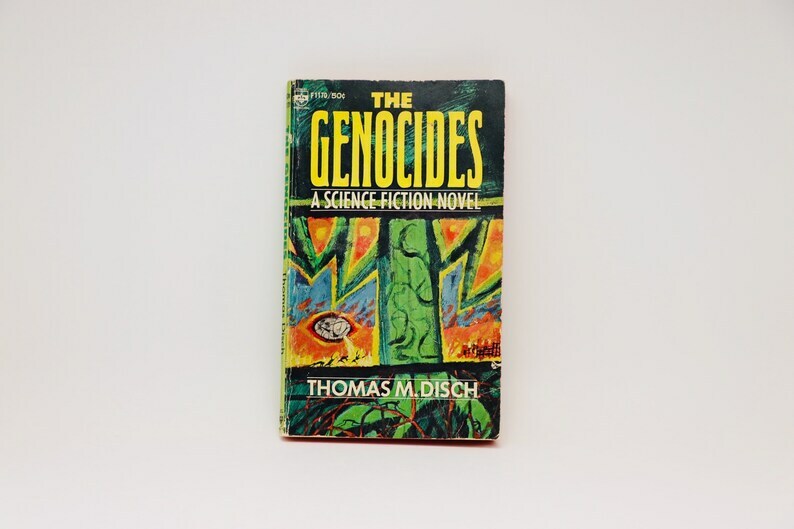 The Genocides is a 1965 science fiction novel by American author Thomas M. Disch. 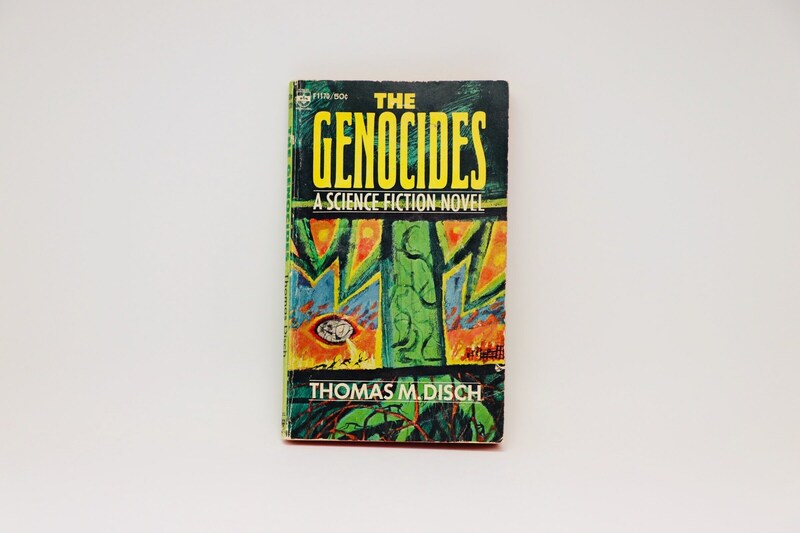 It was nominated for the Nebula Award for Best Novel in 1965. This book is in decent vintage condition with no writing or marks inside the book, there is a small puncture through the front cover and a few pages, not very noticeable, the cover shows light ware as seen in the pictures, the paper has discoloured due to age and the binding is tight.